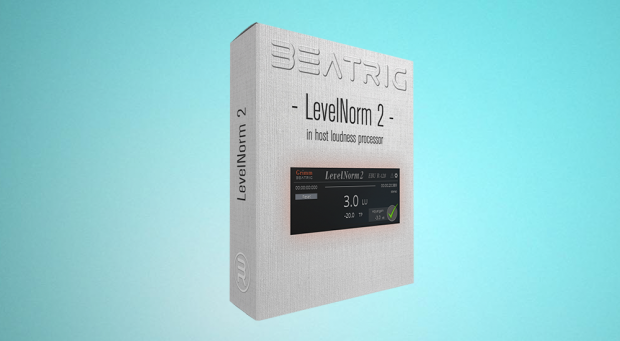 BeatRig release LevelNorm 2. Bringing the loudness normalisation revolution right into your workstation. Both realtime (AU/VST/AAX) and offline (AAX). Compliance to EBU R128, ATSC A/85 and CALM act requirements has never been so fast, easy and affordable! The user interface of LevelNorm 2 is kept as simple as possible so R128 compliance can now be achieved by audio experts as well as video editors with limited audio engineering skills. Normalising a piece of mono, stereo or multichannel audio is as easy as selecting the region of interest and clicking the ‘process’ button. For ATSC A/85 compliance, the AAX plugin optionally offers Dolby Dialog Intelligence to determine the dialog level automatically. Application of LevelNorm 2 is not limited to finalise a mix for broadcast, but also aids in matching levels of different recordings while editing or even prepare tracks with a preset loudness offset. The high processing speed of LevelNorm 2 fits perfectly in a hectic production environment with tight deadlines like news item editing. New “Realtime” processing in version 2. Supporting a very wide range of DAWs supporting AU, VST and AAX plugins. High quality peak limiter, Ensuring your audio is always on target without any clipping. Warnings for all major loudness descriptors for max M and S, LRA, True peak and I-VL delta. Normalize to loudness targets other than EBU or ATSC. This entry was posted in DontCrack, Plug-ins, Promotions and tagged 2, BeatRig, broadcast loudness, LevelNorm, loudness level software. Bookmark the permalink.